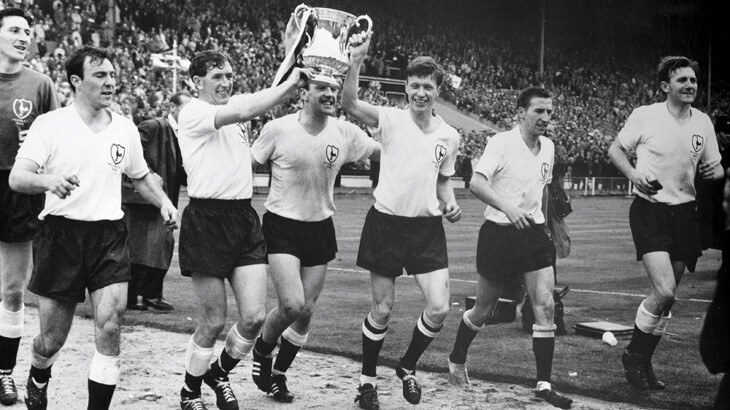 On 6 May 1961, Tottenham Hotspur completed their Double by winning the FA Cup with a 2–0 victory over Leicester City. Spurs were the first team to win the FA Cup and the League in the same season since Aston Villa did it in 1897. Tottenham had already won the league in a season that saw them hold onto the top spot from the first week to the last. They had endured only seven losses all season, but one of those came at the hands of Leicester City, who won 2–3 at White Hart Lane in the first week of February. 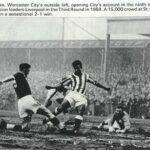 Playing before a crowd of 100,000 at Wembley, Leicester suffered an early setback with an injury to right back Len Chalmers (who remained on the pitch in diminished capacity until the 80th minute). They nonetheless maintained their composure and held the dynamic Spurs attack in check for 65 minutes. Then, in the 66th minute, Spurs winger Terry Dyson sent the ball in for forward Bobby Smith, who powered the ball past keeper Gordon Banks. Nine minutes later, the pair connected again, with Smith providing the assist for Dyson’s header. It was the third FA Cup for Tottenham, who went on to win it again the following season, then four more times for a total of seven.